Happy couple McKensie + Nic said their I-Do’s on a gorgeous spring evening and celebrated with an elegant reception in our garden pavilion. The couple choose a classic, timeless wedding style with soft pastel florals, white pintuck linens and navy + gold accents. Their custom-made wooden coasters added a unique personal touch to their wedding favors. 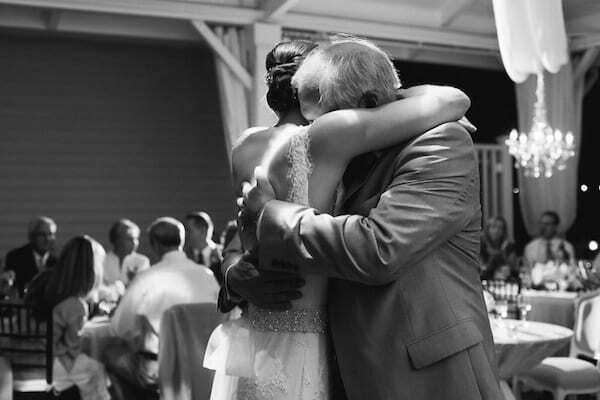 Photographer Jenna Henderson did a wonderful job capturing some sweet father-daughter and mother-son moments on the dance floor that night! Best wishes again to McKensie + Nic!